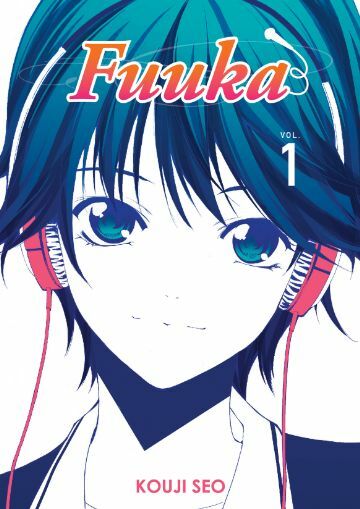 It has been nearly three years now since Crunchyroll added a slice of life/music manga series called Fuuka to their service. After reading the series weekly for so long and becoming very fond of it, I’m sure you can imagine how excited I was when an anime adaption was announced. However, if you’ve followed discussions about currently airing anime then you’ll know that Fuuka hasn’t been received that well. With the series having now come and gone, and bitter disappointment setting in, I wanted to talk about how the adaption went wrong; how it took a perfectly good series and transformed it into something notably generic. Most importantly, I wanted a chance to convince you that the Fuuka anime was not a good reflection of the original manga. This article contains spoilers for both the Fuuka manga and anime, although I have tried to limit manga spoilers to roughly the content which the anime adapted, unless otherwise necessary. For those of you who aren’t already aware, Fuuka tells the story of Yuu Haruna, who is an avid Twitter user and a loner offline. He didn’t have any real direction in life and seemed content to spend his time on social media – until the day he bumped into Fuuka Akitsuki. Literally. Fuuka is ambitious, outgoing and adores listening to music. After she and Yuu become friends and Yuu compliments her for her singing abilities, Fuuka decides that she wants to start a band with Yuu and her friends Makoto Mikasa and Kazuya Nachi. During their first band practise they encounter Sara Iwami, a talented musician who also joins their band, and this is where the story truly begins. 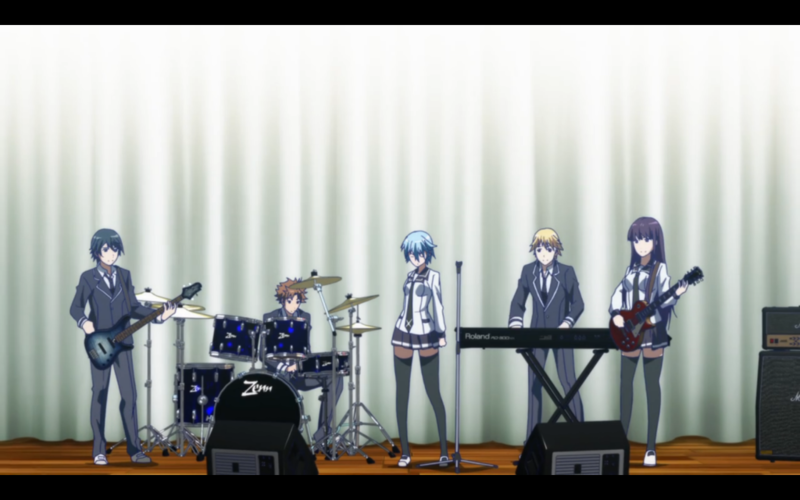 The Fuuka manga tells the story of the various problems the band faces as they practise to perform at the upcoming school festival and beyond – but the anime had other ideas. Instead of making the music the focus of the story, the anime decided to go down the route of exploring a love triangle between Yuu, Fuuka and Yuu’s childhood friend, Koyuki Hinashi. In the manga this love triangle is also present but of less importance than the music, especially as early on Yuu very clearly has feelings for, and starts dating, Fuuka. In the anime Yuu and Koyuki become much closer than they ever do in the manga, until Yuu finally realises his feelings for Fuuka and decides to date her instead. This shift in focus leaves the musical side undeveloped and severely lacking. Back in September 2016 I reviewed Beck: Mongolian Chop Squad and made comparisons between Yuu and Beck’s main character, Koyuki, because neither of them had any prior experience with music until they were dragged into it by someone else. In this sense both series are about starting out in music from scratch and the difficulties doing so, something that I can definitely relate to. Yuu plays bass guitar, but while he’s practising and playing a different instrument to me it’s easy enough to understand the problems he faces. He’s never read sheet music before, he struggles to get into the correct rhythm for what he’s learning, and, most of all, his fingers hurt from the constant practicing, yet he refuses to give up. In fact, Yuu is incredibly taken by music. However, the anime chose to cut the majority of this out. When The Fallen Moon (the name they eventually choose for their band) practices a track for the school festival, Yuu’s struggles are largely sidelined in the anime and, at most, shown in a montage. This makes him and the band as a whole seem much less realistic in how quickly they learn to play a song together. It just makes them out as musical geniuses when, in truth, they work incredibly hard to master the song in the original manga. The anime also implies that Yuu and the others are in the band for a bit of fun, but in the manga Yuu is extremely dedicated to becoming a pro – to the point that he and the other band members drop out of school to devote their time to The Fallen Moon and its future. It makes the manga and the anime almost seem like completely different stories, which is where one of the major issues with the adaptation lies. The anime, to me, didn’t seem like it knew what it wanted to be. With only 12 episodes to tell the story of a manga, which is currently 149 chapters long, it’s fair that certain things had to be trimmed or removed, but changing the whole direction of the series completely ruined Fuuka. To me love stories are ten a penny but it’s difficult to find stories of budding musicians who are just finding their love for music. You could argue that this type of narrative is less popular than romance-centric plots but when the manga has managed to run for over 100 chapters and shows no signs of stopping, I’d argue that simply isn’t true. If a story is good enough then there will always be an audience for it. It’s not just in the story where the anime adaption fails to convey the musical side of the series. The animation and soundtrack are also underwhelming. The animation is often still shots of the characters practicing or framed at too far a distance to actually tell how they’re playing their various instruments. 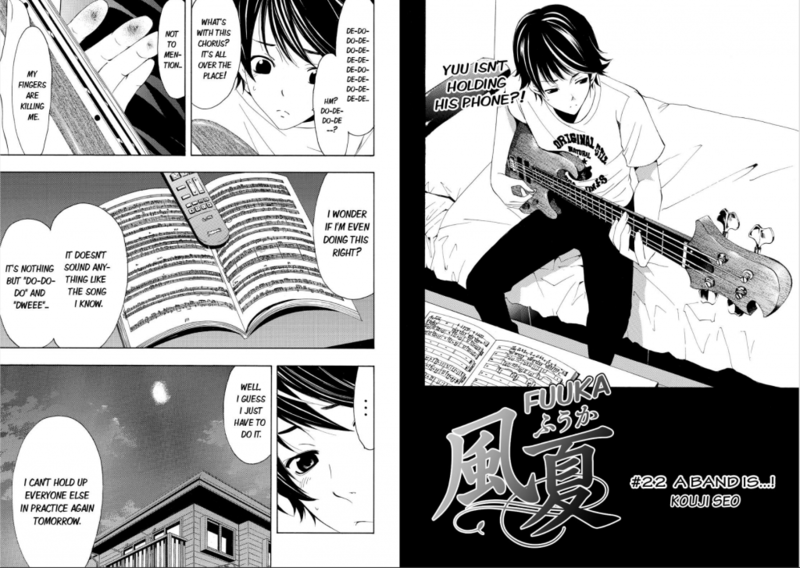 No real effort has been made to show how Yuu is playing his bass or the chords Sara is playing on her guitar, whereas in the manga it’s made very clear. Furthermore, the soundtrack limits itself largely to one track, ‘Climbers High’, which also acts as the opening theme for the anime. In the manga there are many opportunities where the anime could have included more music, even just in the form of short melodies. With all of that said, perhaps the final nail in the Fuuka anime’s coffin comes thanks to a major story change towards the end. I have nothing against anime original content, and when it’s done well I really enjoy it, but in the case of Fuuka it simply isn’t written well. In the manga there is a death among the cast due to an accident, but when the anime gets up to the point of the accident (literally moments before) it dodges it. No one dies. The problem is that, as nice as it was for this member of the cast to live, in the manga it acted as a driving force for Yuu’s commitment to music and The Fallen Moon. Without the death the whole story loses a lot its meaning, becoming incredibly difficult to adapt in future without going completely original. If anything, the minute this character didn’t die was the moment the show died for me. Fuuka transformed from a series about music into a generic love story with very few redeeming points. Music is extremely difficult to convey through a silent medium such as manga and I’ve always been surprised that Fuuka manages it so well, and that’s ultimately what leaves me all the more disappointed with the anime adaption. By all rights anime should be the perfect medium for a story like this with its freedom of movement and soundtrack, so why wasn’t it? On one hand you could argue that the series didn’t have enough money behind it (the fact that there is only a limited selection of vocal songs licensed seems to suggest this), or perhaps that Diomedea, the studio who adapted the series, feared it wouldn’t sell well if the story had been left in its original form. Diomedea aren’t that well known outside of Japan (in fact you’d likely only know of them because of Squid Girl), so they probably wanted to play it safe with their adaption. Maybe if Fuuka had landed in the hands of a studio like A-1, Madhouse or BONES I’d be telling a different story right now. It’s hard to know. I’m aware that the original mangaka and the anime team always wanted a story where the character death didn’t happen, and maybe that could have still worked if the team hadn’t decided to focus on the love triangle instead of the music. With the decision the team made, it’s impossible to know. I’m not trying to say that creating anime is an easy thing to do and difficult decisions obviously had to be made, but somewhere along the line Diomedea lost sight of what makes Fuuka special. I can only close this article by saying that if you had any interest in Fuuka, please check out the manga. Crunchyroll offer the whole thing on their manga service right now with releases weekly, but volumes are also published digitally by Kodansha Comics. The anime is just not worth your time.